oh haha, i love her sassiness. Wall is just Wally with out the 'Y' so i think we know her choice beside robin is like half her height and 2 years younger. but I'm 13 so never fear robin! Oh well Artemis didn't feel that way when they kissed did she ? 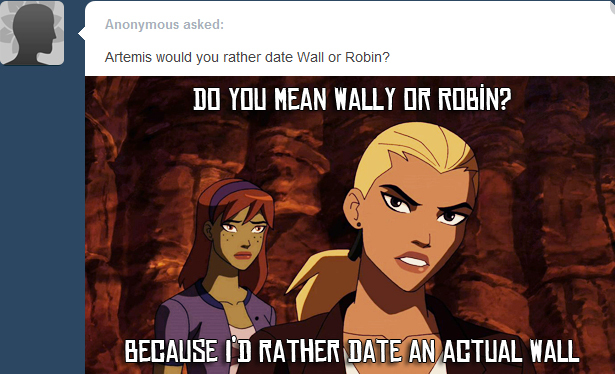 But before she fell for Wally she would rather date a wall I bet !